The ignition system is the heart of a vehicle. It's the source for the power that propels it. 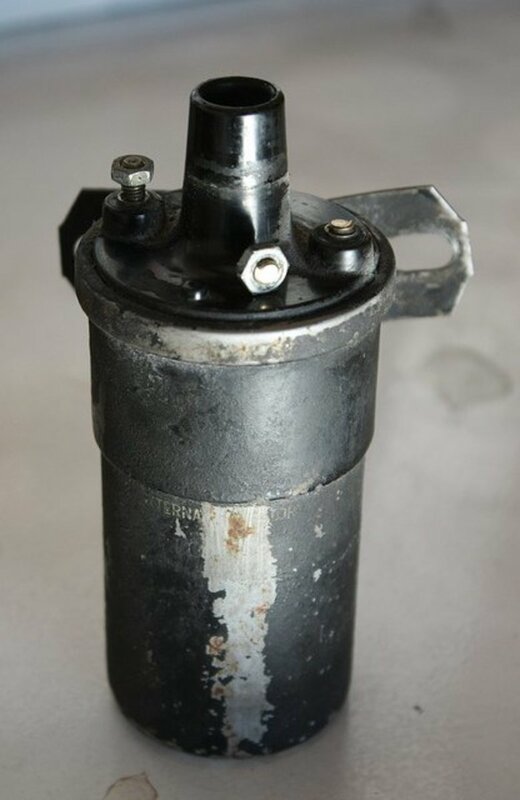 When an ignition system is failing or failed it can leave you with a vehicle that won't start or stalls, runs rough, idles rough or eats up gas like a semi. Waste-spark DIS (distributor-less ignition system) Systems. COP (coil on plug) DIS System. What is the Ignition System? The ignition system has been around since vehicles first started rolling off the production line. There have been four types of ignitions systems, but only two types that are used today by automotive manufacturers. As you can see the systems are very much alike. The coil increases the 12 volt current from the battery to a 20,000 volt for the distributor and a 50,000 volt on the three later models. The distributor is used on the breaker points system and the electronic ignition system. When the current is sent to the distributor, from the coil, it goes to the points that are opening and closing as the camshaft spins. If they are closed the current runs through the contact points up to the rotor that is spinning with the camshaft it is attached to. As the rotor spins it grazes by the metal tabs in the distributor cap, one for each spark plug. As it grazes by the current flashes over to the tab which has a spark plug wire attached to the top of it and it shoots down the spark plug wire to the spark plug and denotes the fuel in the combustion chamber. Spark plug wires are completely eliminated in the COP circuit. On the DIS circuits the points have been replaced with an ignition control module and a magnetic trigger. The engine control module monitors the ignition system adjusting the various components to keep the engine running smoothly. The ignition system can be broken down into two sections: The primary system and the secondary system. Which one is which is determined by the coil. The coil is made up of an iron core with two sections of wire wrapped around it. The first section of wire is the low voltage wire which is called the primary winding. 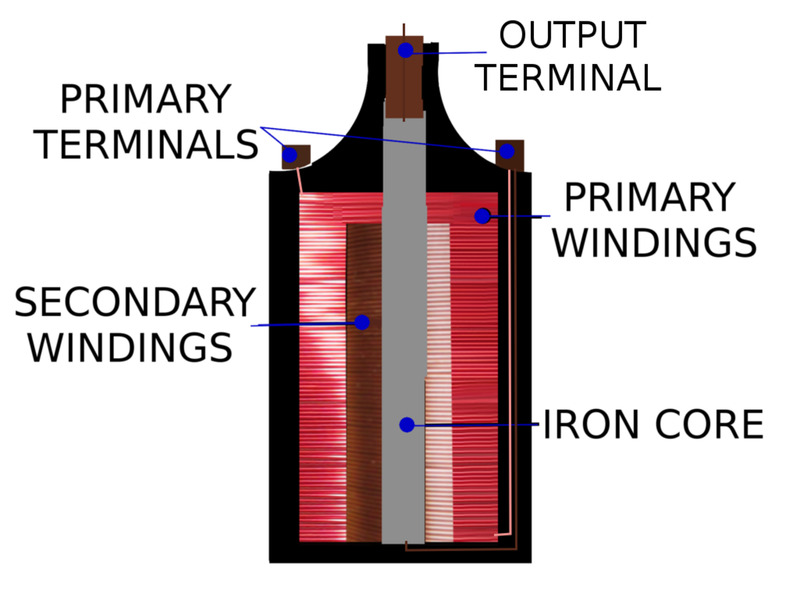 The secondary winding carries the high voltage. The secondary system has far more windings than the primary. The ratio would be about 80:1 windings compared with the primary winding. The number of windings is what has the potential to increase the current. Distributor (points and EIS circuits only). 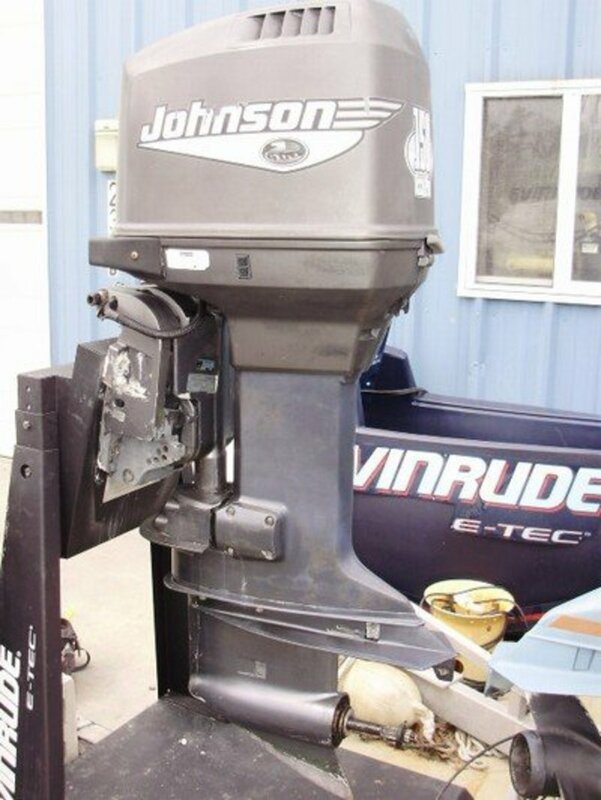 Do you have an engine that still runs on the breaker point system? No, I've never heard of such a thing as points. No, but I know what they are. 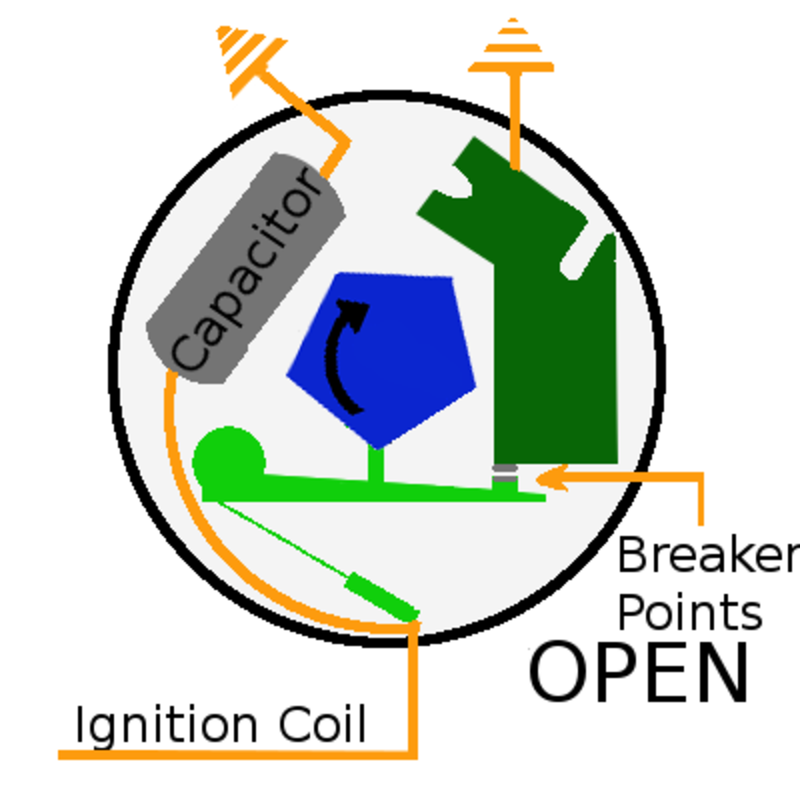 In a contact points circuit the ignition system is responsible for conducting the 12 volt current, actuated by the ignition key, produced by the battery, sent to the coil, amplified by the coil, and then sent to the distributor, that distributes it to the spark plugs, that ignites the fuel in the combustion chamber. It sounds like a lot but it's not. Let's take it step by step. The key is put in the ignition and turns to activate the engine. 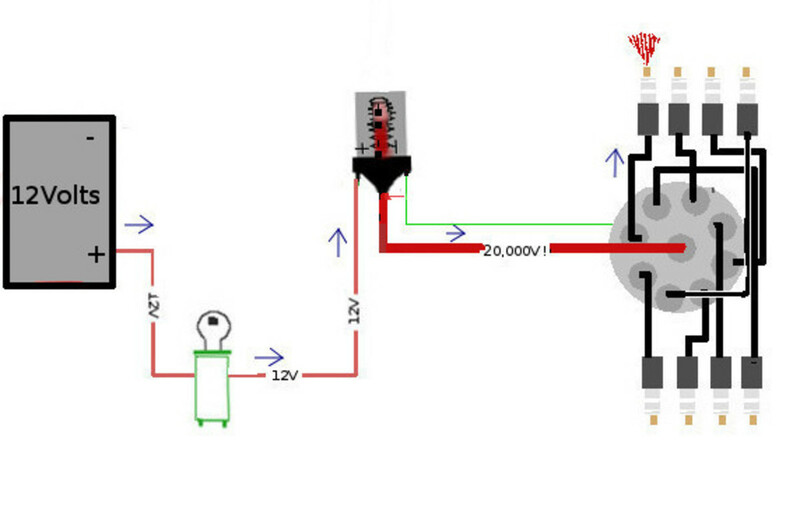 The battery sends a 12 volt current to the coils primary winding. The points in the distributor close creating a magnetic field. The spinning camshaft, that the points set upon, rotates to open and close the points. The points open and that magnetic field suddenly collapses and the current is sent to the secondary winding. The secondary winding increases the 12 volts to 20,000 volts (only in the points system and some electronic systems). 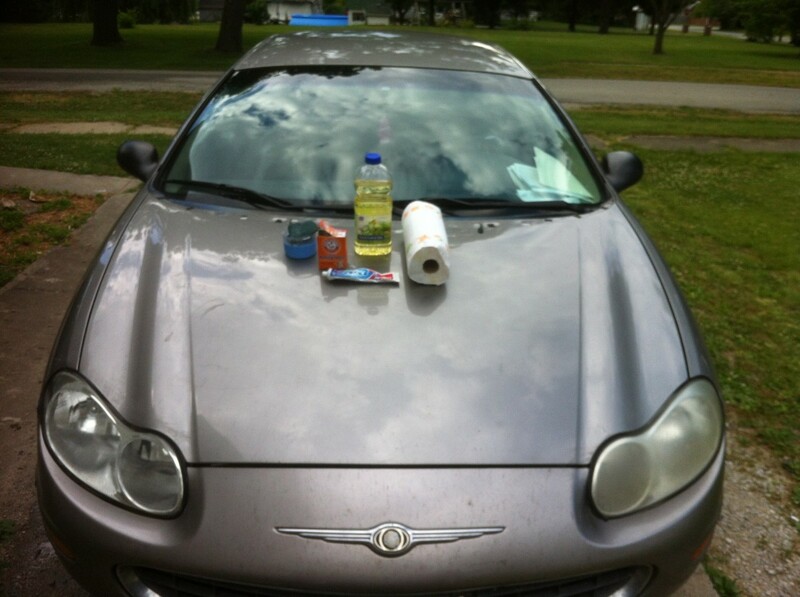 The current is then sent off to the distributor to be distributed to the correct spark plug. The points system was vulnerable to wearing down. The mechanical parts needed regular tending. 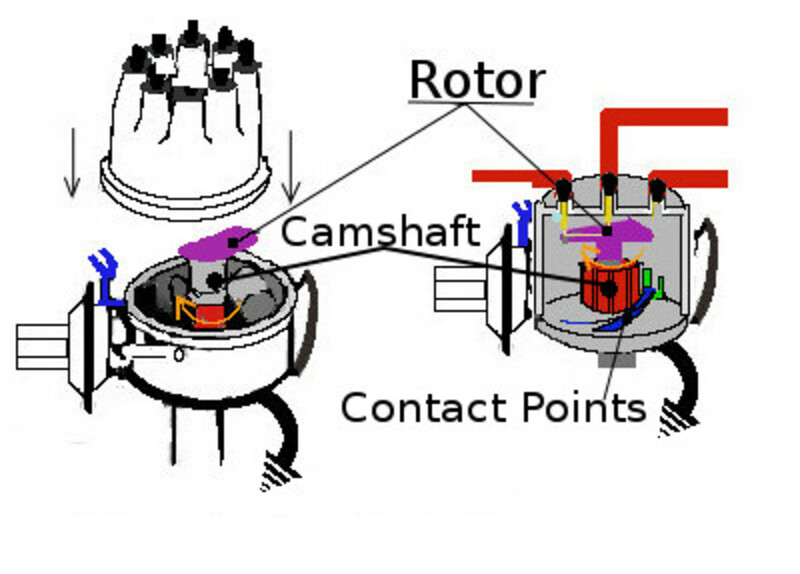 The electronic ignition system replaced the points with an armature that would spin like the camshaft but the armature never makes contact with the magnetic pick coil. This eliminated wearing out. The DIS systems consist of the COP and waste-spark systems. The COP system places a coil on each spark plug. This way there is no loss of energy. As soon as the ignition control module sends the signal to fire, it is immediately sent to the spark plug by the coil. This is a much more efficient system than the points or EIS systems. 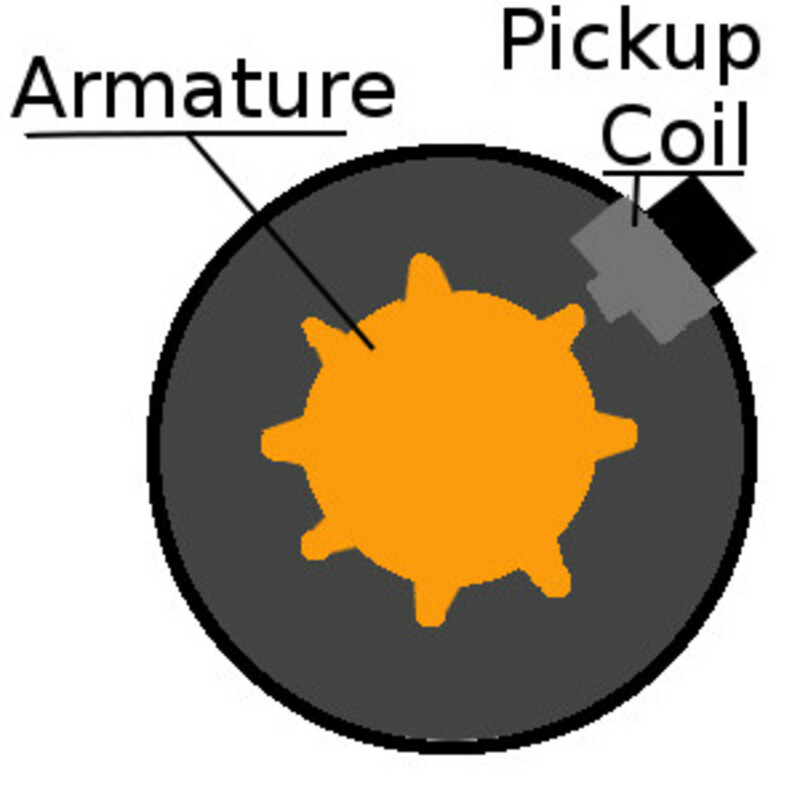 The waste-spark system employs a coil for every two spark plugs. The two spark plugs one coil activates are paired opposites. When one is on the compression stroke the other is on the exhaust stroke. Both systems use a magnetic trigger to signal when the piston is in the optimum position for detonation. The response time is much faster making this system much more efficient. 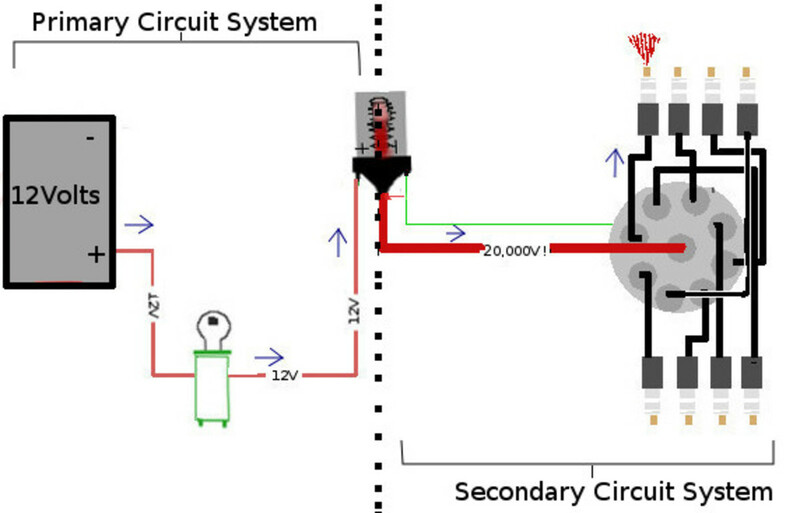 The 12 volt current, from the battery, goes to the coils primary winding. It sends a signal to the ignition control module to fire. The ignition control module sends an open signal. The current in the primary coil winding collapses. As soon as the magnetic field collapses the current goes to the secondary windings and then out to the spark plug. All of this happens in milliseconds. Did you notice that on the DIS system the current never goes to a distributor? The distributor has been eliminated in these systems. The old breaker points system was mechanically, everything moved, this made it vulnerable to wear and tear. The DIS systems are all electronic now, so you can rest assured it won't need service for a long, long time.